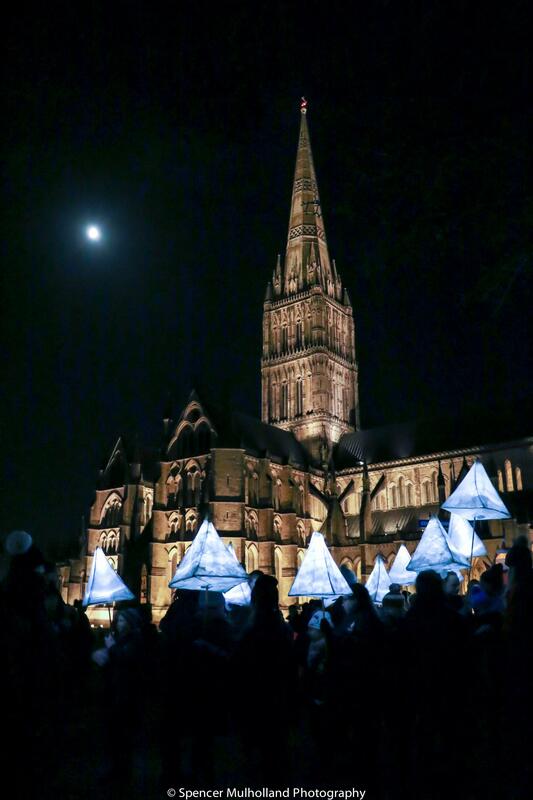 The popular annual Lantern Parade will start its journey from the Close, at 18.15, and wend its way through the city to the Market Place. As well as joining or viewing the parade, you can also enjoy the festive lighting in the Cathedral and the Close at its best… after dark. Walk through the ‘Light Wave’ in the Close, admire the neon trees in the Cloisters and the mesmerising illuminated globe in the Cathedral. There will be an opportunity to climb up to the West Window for free and see the Nave from from above. Sign up on the night first come, first served. We will also be joined by the Woodfalls Band playing under ‘The Light’ at the Spire Crossing. The Shop and the Refectory Restaurant will be open until 20:00.